IP-Mobilecast service delivers licensed news and entertainment content, award-winning training, and operations data. 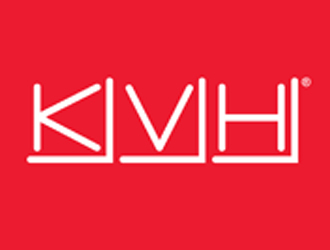 KVH Industries is the No. 1 maritime VSAT communications provider. Get seamless global coverage with KVH’s 60 cm TracPhone® V7-HTS with speeds up to 10 Mbps/3 Mbps (down/up), or with our all-new 1.1-meter Ku/C-band TracPhone® V11-HTS delivering speeds up to 20 Mbps. AgilePlans®, our all-inclusive, no commitment, monthly subscription service offers fleets global broadband, VSAT hardware, and more with no CAPEX. Plus, our IP-MobileCast service delivers licensed news and entertainment content, award-winning training, and operations data.